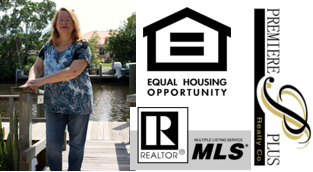 "Helping You Find Your Southwest Florida Properties"
Looking for a Florida Broker in Naples? Jany Pech makes it easy for the local and International buyer of Premier Properties of Naples and the surrounding Southwest Florida Gulf Coast to find their perfect home or condo. 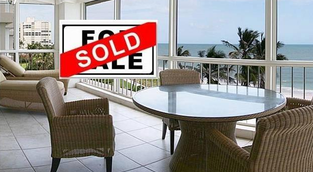 Whether looking to purchase a warm, luxury beachfront condominium for a second home during the frosty winter months or choosing that perfect home in any area of the Southwest Florida Properties to be your permanent residence, Jany will help you find it or anything in between for that matter! If golfing is your passion and are you looking for a golf community of distinction in which to live or retire, Naples has this to offer as well and you can rely on Jany from Premiere Plus Realty Co to help you find that perfect community along with superb customer satisfaction and service on which we have founded our company. Often when clients search for luxury homes or condos for sale in Florida they usually stop searching upon arriving in Naples. Seeing the beauty and unique charm that Naples has to offer, such as some of the most beautiful beaches and sunsets in the world, beckoning water sports, fishing and golfing, most folks feel they are finally "home." Not to be sold short, is the "Mecca" of fine upscale shopping, after which one can indulge in the offerings of the variety of Internationally influenced, sumptuous restaurants of which to chose. All the while Naples will allow you to experience the welcoming " Southern Hospitality" in keeping with it's roots. Truly there is a place for everyone in this delightful area and Jany will help you find that place. 5 minute drive to downtown Naples, beaches, shopping, restaurants! Getting ready to buy or sell a property?